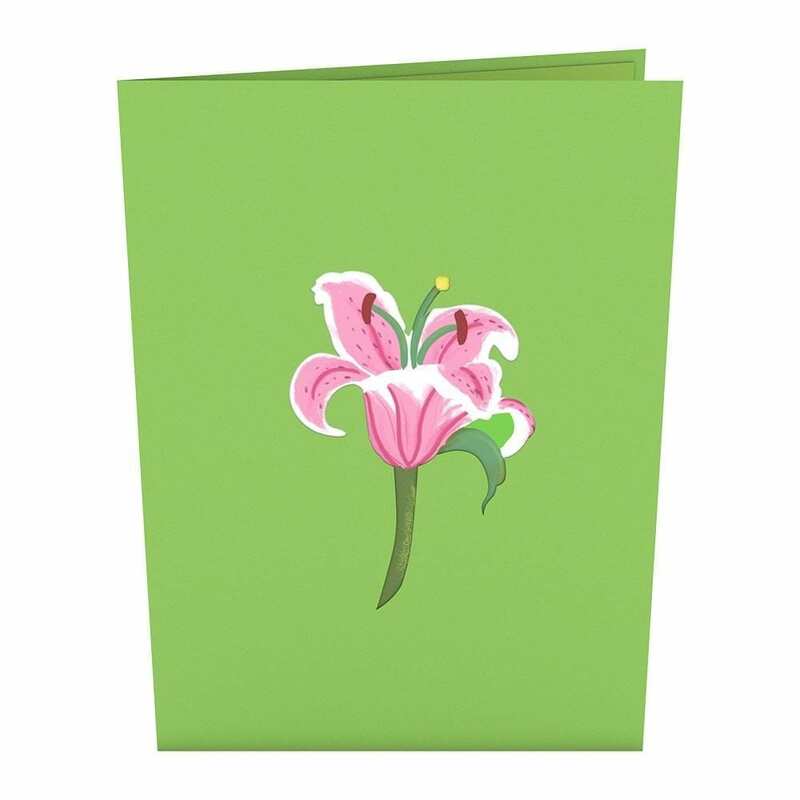 A beautiful single stem pink lily is laser-cut onto the front of this bright green card. 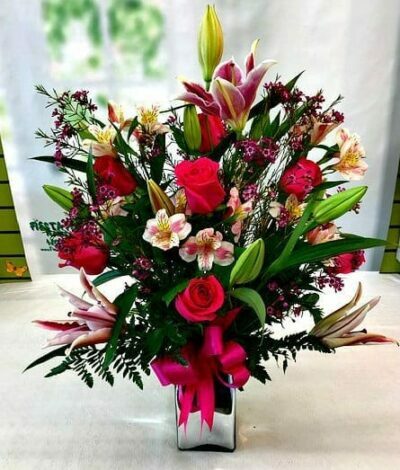 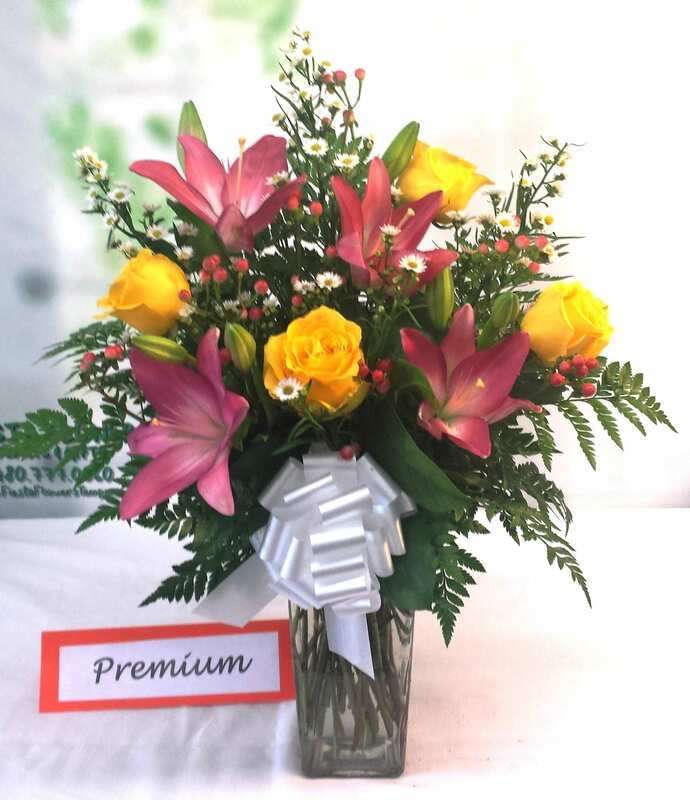 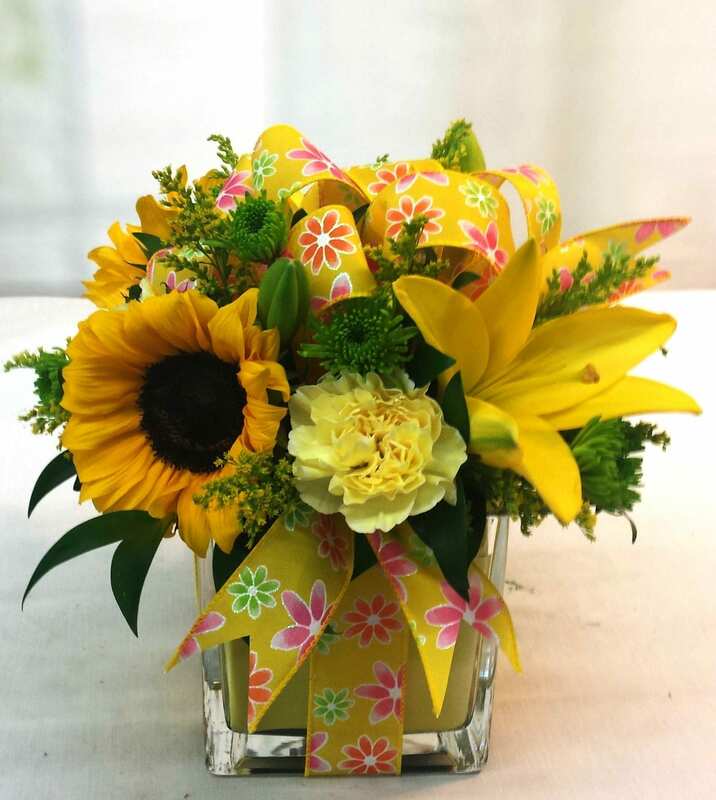 Inside, the lily bloom pops to life, with 3D petals, pistil, and stamen in bright, vivid colors. 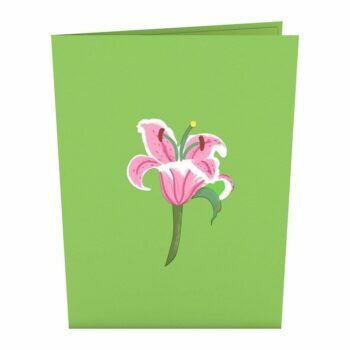 The magnificent flower atop an illustrated background, depicting jungle green leaves and stems and another lily ready to bloom. 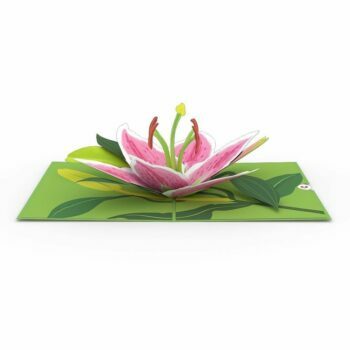 A beautiful single stem pink stargazer lily is laser-cut onto the front of this bright green card. 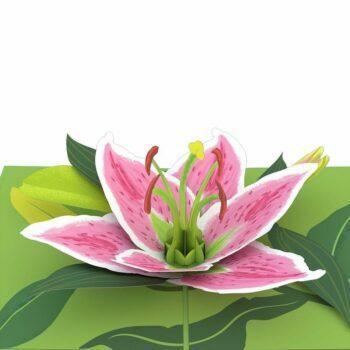 Inside, the lily bloom pops to life, with 3D petals, pistil, and stamen in bright, vivid colors. 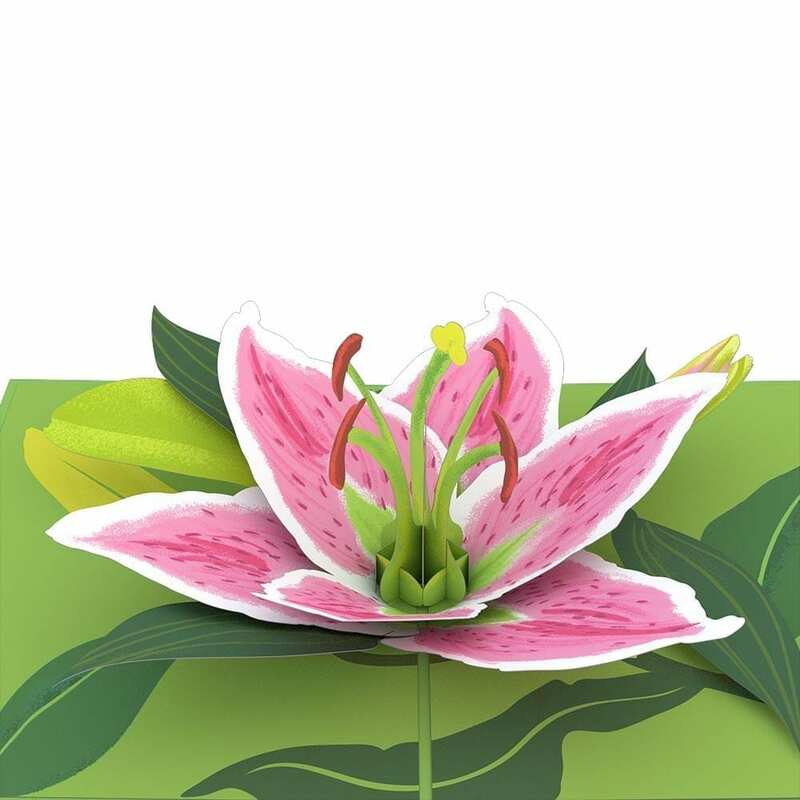 The magnificent flower atop an illustrated background, depicting jungle green leaves and stems and another lily ready to bloom.